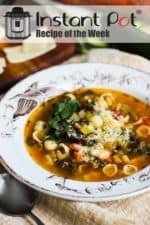 This Instant Pot Minestrone Soup recipe is so chock full of deliciousness and flavor, it’s hard to believe it all comes together in about 45 minutes (including prep). 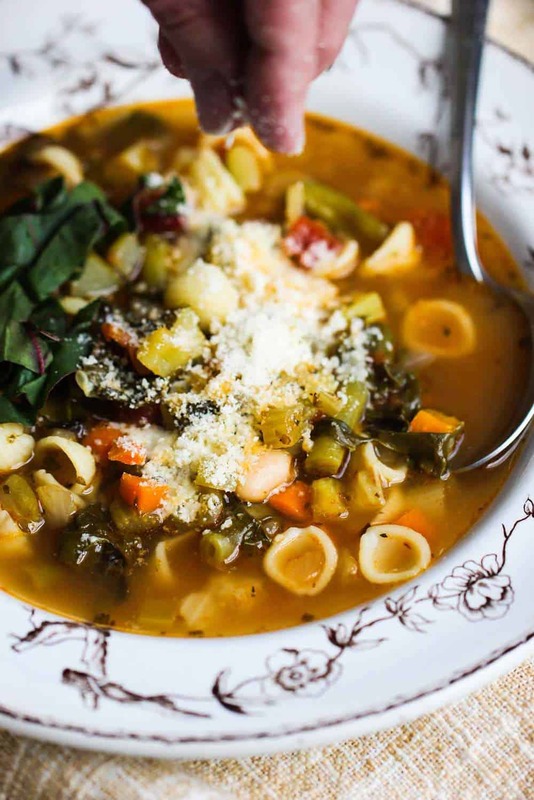 This is classic minestrone and we love every bit of it. Minestrone means ‘big soup.’ And we just love how every bitE is loaded with delicious vegetables, beans and pasta. All in a comforting stock with comforting seasonings. 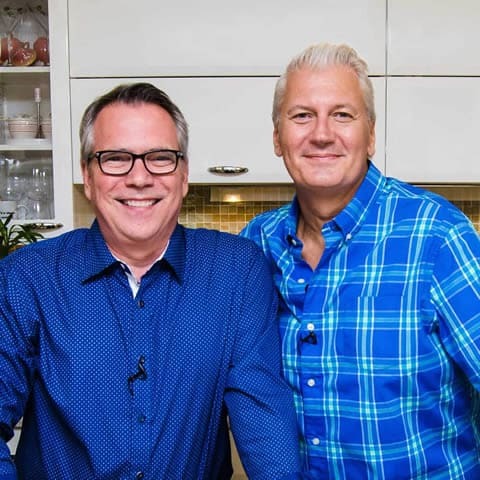 And what’s brilliant about this soup is using the amazing Instant Pot to bring it together in less than an hour. A hearty, fulfilling, satisfying soup that comes together in less than 1 hour. I mean, come on. Just look at this soup. Don’t you just want to dig right in? 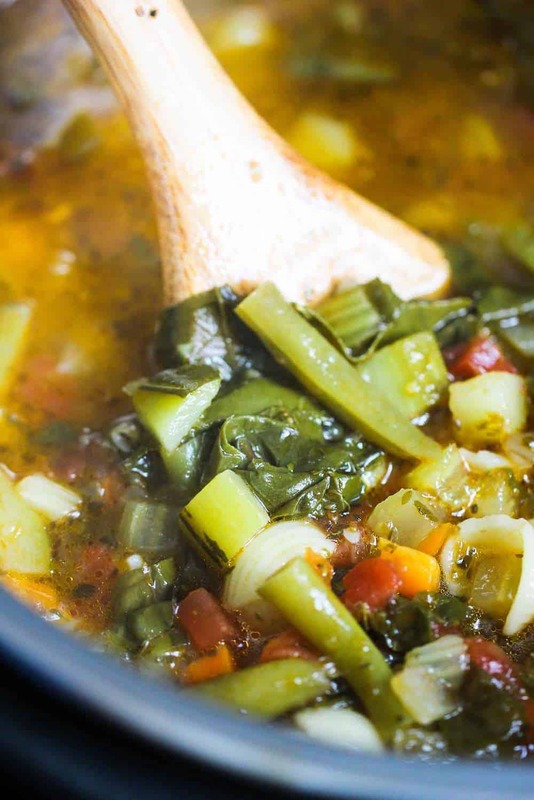 Well, pull out your Instant Pot, grab these simple, straightforward ingredients, and in a little less than an hour, you’ll be enjoying fresh, homemade minestrone soup. This soup has been warming hearts, bellies and souls for generations. This soup will warm your heat, your cockles, and everything in between. 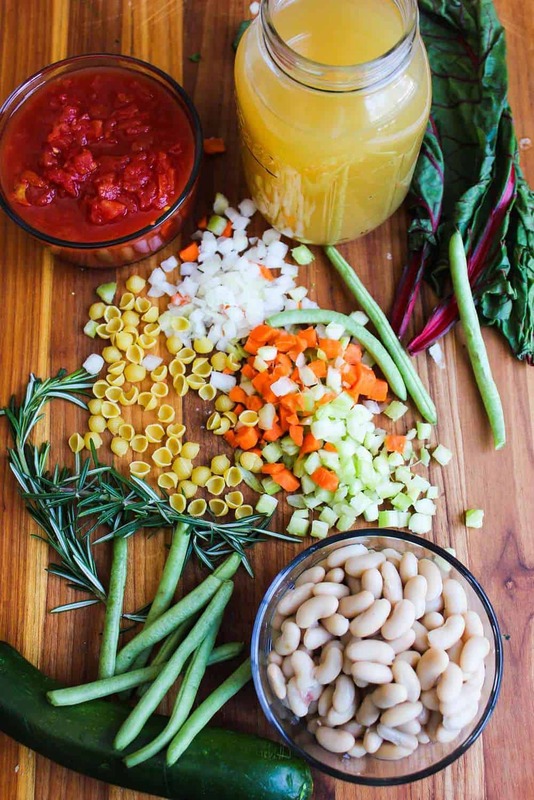 We love this Instant Pot Minestrone! 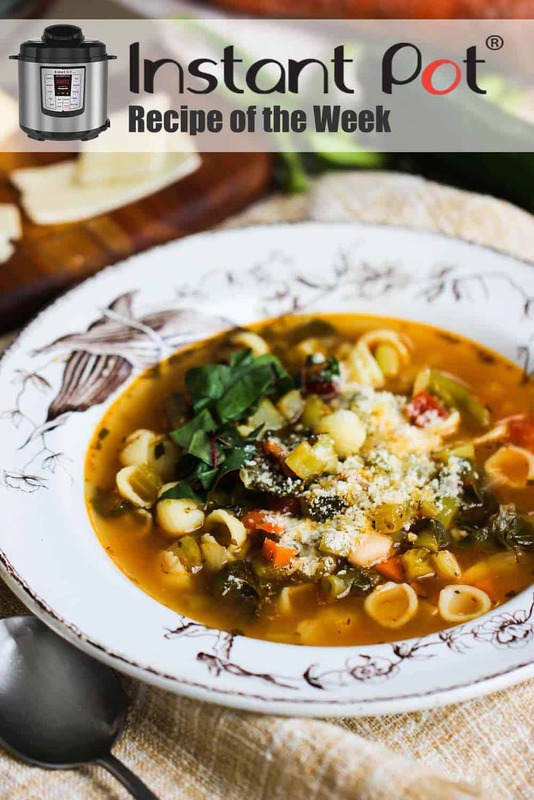 Now, go and make this incredible Instant Pot Minestrone Soup recipe! 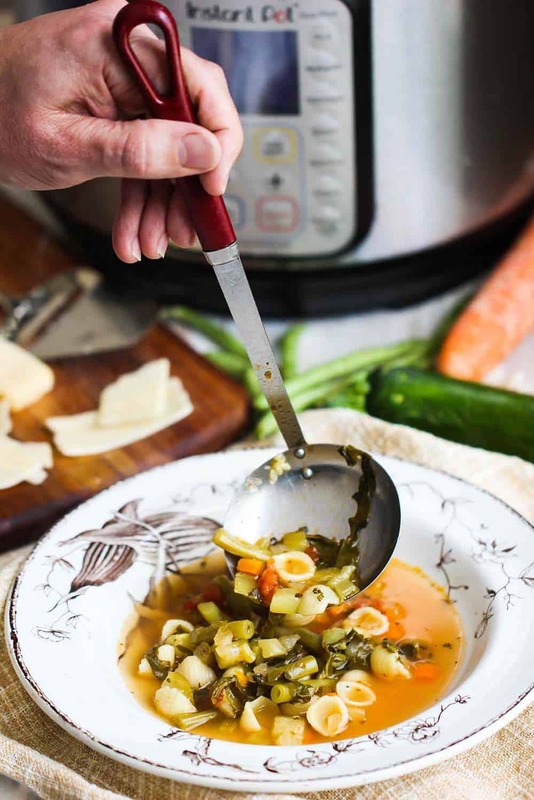 This Instant Pot Minestrone Soup is the perfect soup for making in the Instant Pot. I love using my homemade chicken stock, but of course, to keep it completely vegetarian, use vegetable stock. You can also use fresh spinach, in place of Swiss chard, if you prefer. Select the SAUTE and the MORE setting and heat the oil. Add the onion, carrot, celery, rosemary, oregano, salt, and pepper and saute for 5 minutes, until the vegetables are softened. 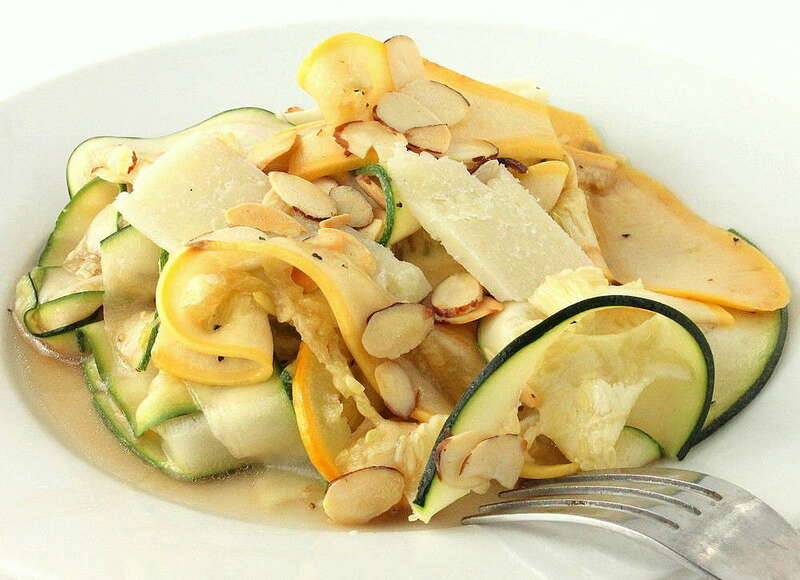 Add the tomatoes with juice, Swiss chard, zucchini, beans and stock. Secure the lid and the set the Pressure Release to SEALING. Hit CANCEL and then select the SOUP/BROTH setting and set the cooking time for 10 minutes at high pressure. Let the pressure release naturally for 5 minutes, then carefully move the Pressure Release to VENTING to release remaining steam. Open the pot and stir in the cooked pasta. Ladle the soup into bowls and top with grated cheese and fresh Swiss chard.